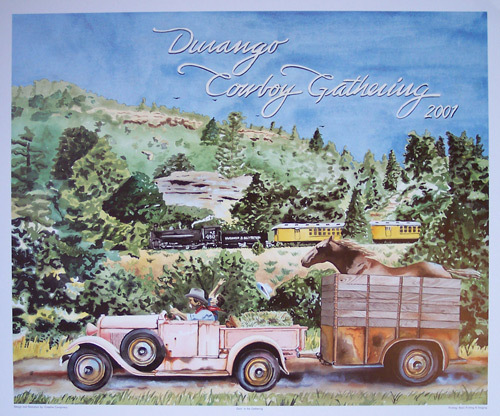 EXPERIENCE THE WEST through Tim Cox's eyes. 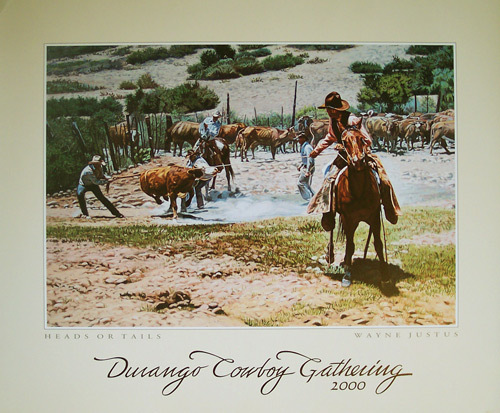 Tim paints what he knows; vibrant cutting horses intent on holding that cow, cowponies covered in sweat after working a hard day, ranch horses sharing a well earned drink at a glistening water trough. 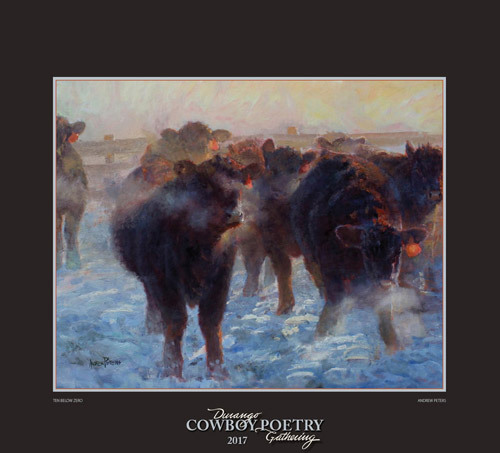 His cattle have authentic expressions; calves perhaps a little bewildered at a branding, bemused heifers waiting to be fed, a longhorn steer intent on leaving the country, or a herd just shuffling along as they are being driven to better pastures are frequent subjects. 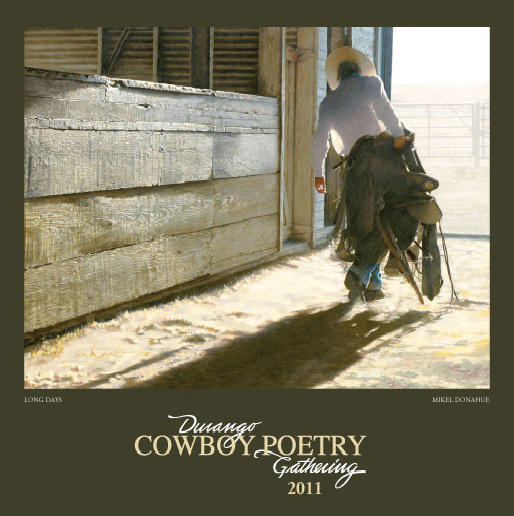 Ranchers, cutters, team ropers, or cowhands, all of them touch his heart. 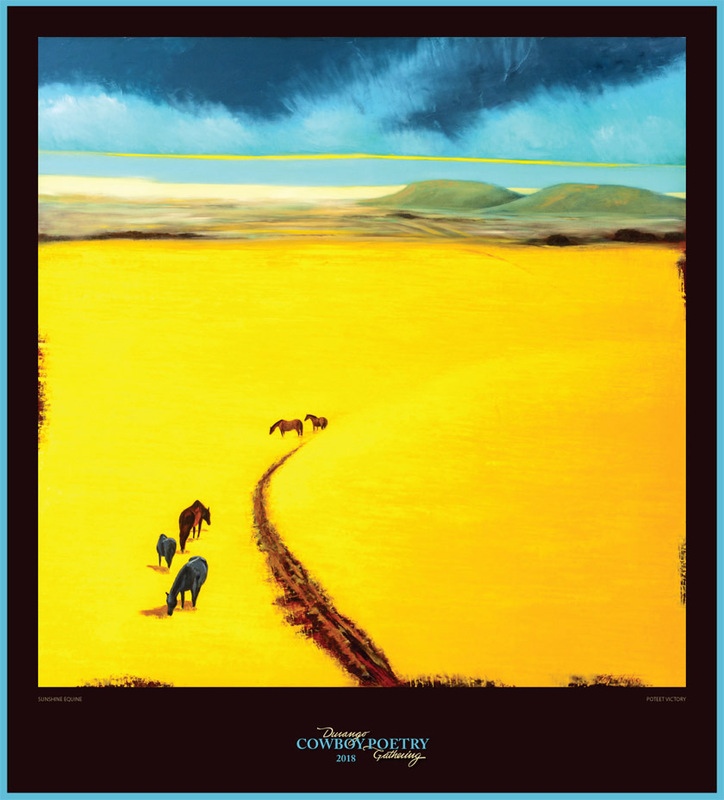 Add a striking landscape with dramatic skies; clear blue, wispy pink clouds or spectacular thunderheads and you have a Tim Cox painting. 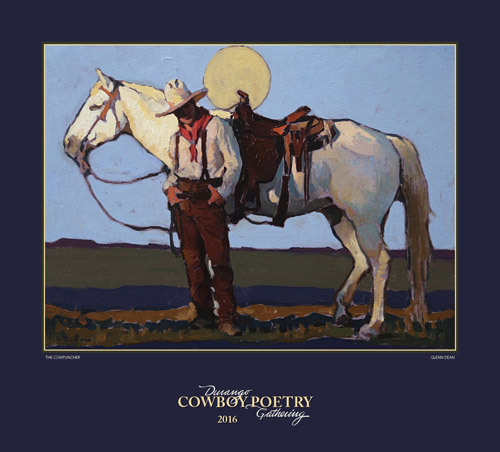 His favorite times are being out on the ranches, absorbing every detail of what he and others are doing so that he can go back to the studio and document the modern cowboy, as he has done for 36 years. 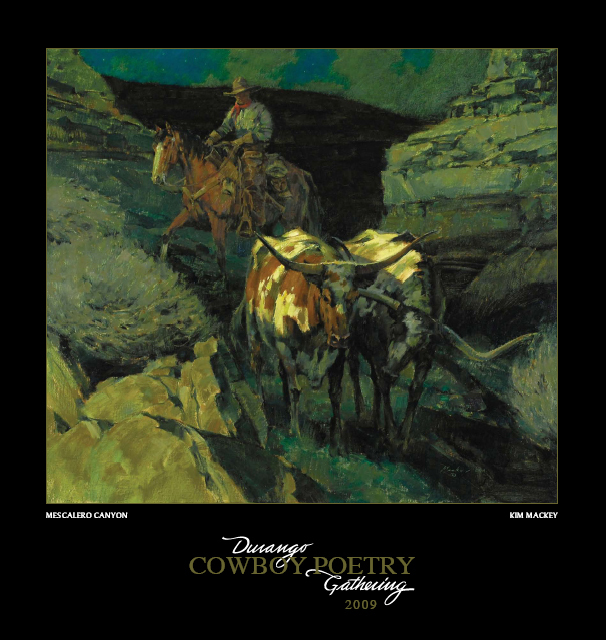 Tim is especially proud of his 2003 Prix de West Award and his two "Express Ranches Great American Cowboy Awards" from the National Cowboy and Western Heritage Museum. 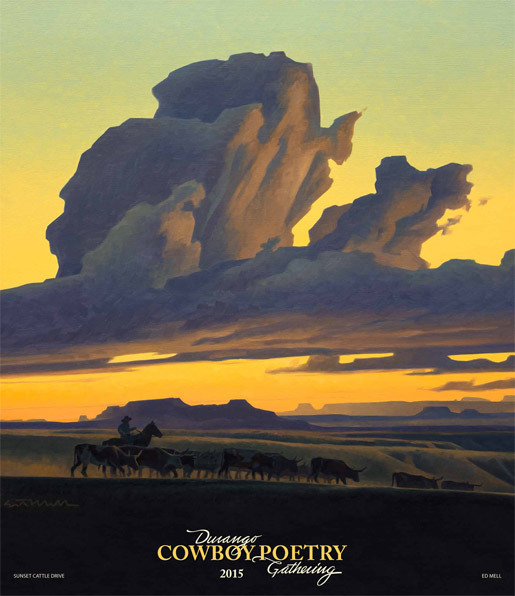 In a 1975 high school English class essay he wrote that one of his fondest wishes was to be a member of the Cowboy Artists of America. 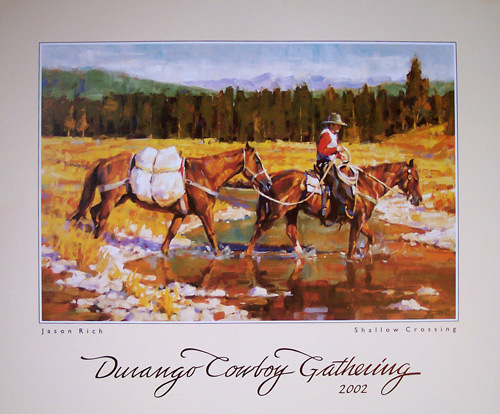 His wish was granted in 2007 when he was invited to join the prestigious group. After serving on the Board of Directors and being a member for only a few years, he served as president for 2011-2012 and is the current predisd. 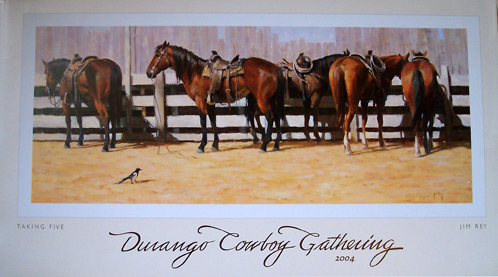 The group returned to its roots at the National Cowboy and Western Heritage Museum for their 46th annual show in the fall of 2011. 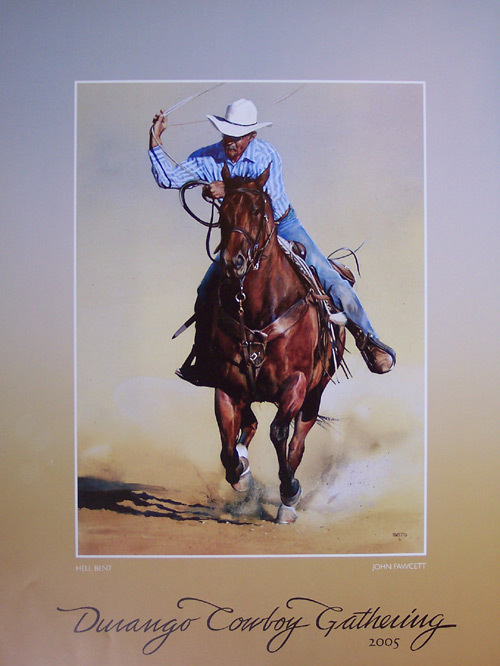 Tim's paintings have appeared on over 300 magazine covers through the years, and he has been featured in articles of at least 16 different publications, including Southwest Art, Western Horseman, Art of the West, and American Cowboy and Beef. 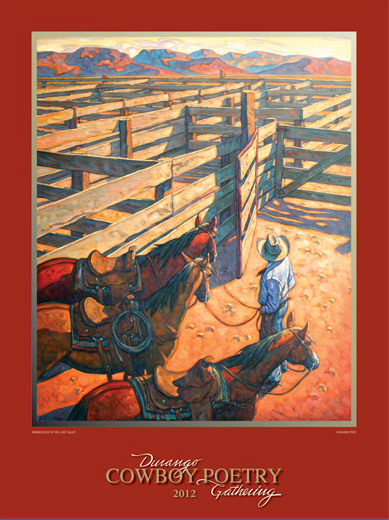 Recently, Tim Cox was voted winner of the Readers Choice award for Best Living Western Painter in True West magazine's 2011 Best of the West poll. 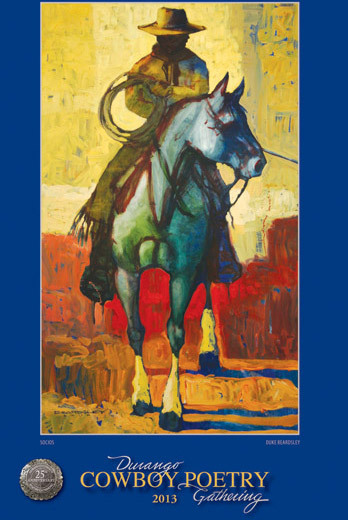 He also was honored to have been asked to create the cover of the 75th Anniversary edition of Western Horseman. 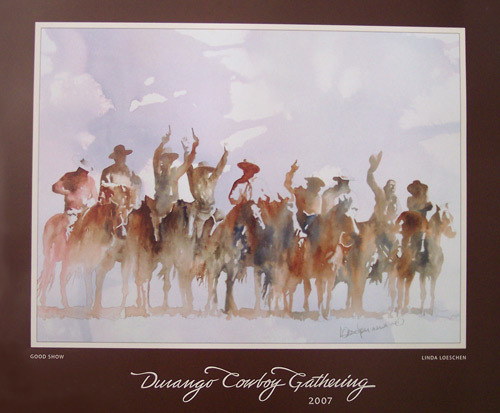 Tim has been painting professionally since 1975 and has received numerous awards including the 2003 "Prix de West Purchase Award" and "Express Ranches Great American Cowboy Award" in 2004 and 2007 from the National Cowboy and Western Heritage Museum. 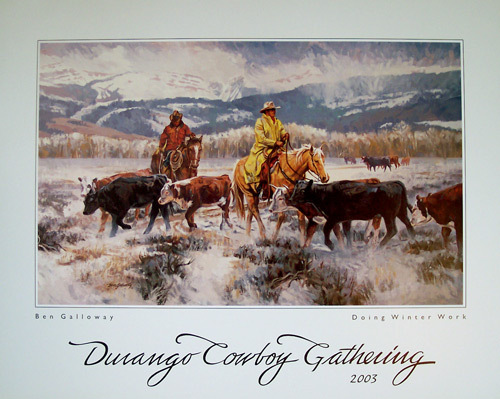 In 2001, he received the "Will Rogers Western Artist Award" for Artist of the Year from the Academy of Western Artists and the "Olaf Wieghorst Best of Show Award" from the Mountain Oyster Club three times. 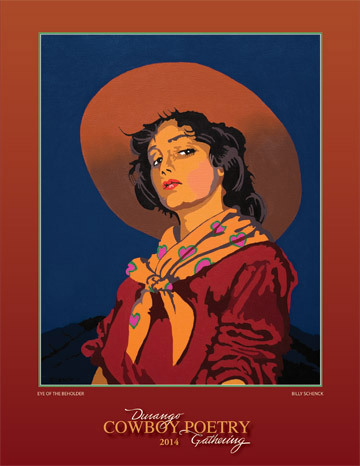 Tim was voted into U.S. Art Magazine's "Print Hall of Fame" in 2000 and in 2008. 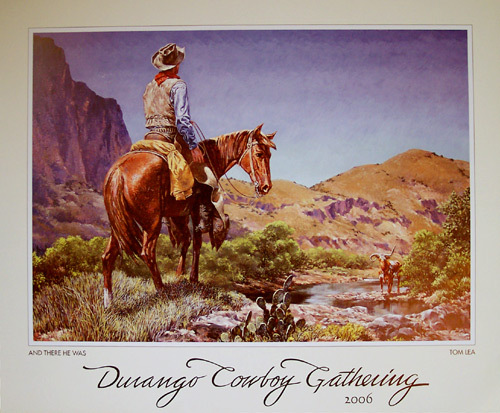 Tim is a fourth generation Arizonan born in 1957 and raised in the farming and ranching community of Duncan, Arizona near the New Mexico state line. 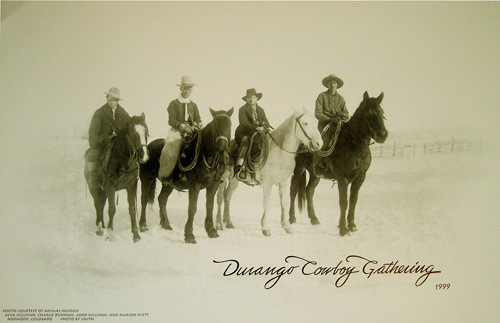 He now resides outside of Bloomfield, New Mexico, where he continues to raise a few cattle and train horses with his daughter Calla and wife Suzie. 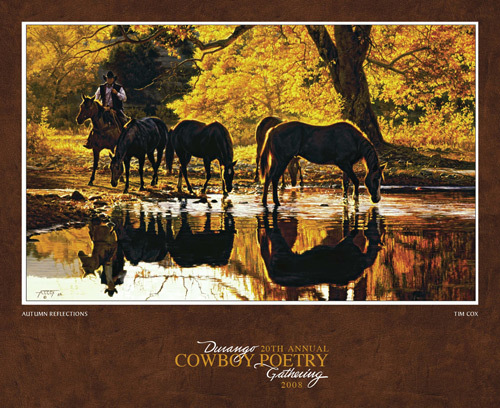 2002 - Jason Rich - "Shallow Crossing"
2004 - Jim Rey - "Taking Five"
2005 - John Fawcett - "Hell Bent"
2006 - Tom Lea - "And there he was"
2007 - Linda Loeschen - "Good Show "
2008 - Tim Cox -" Autumn Reflections"
2009 - Kim Mackey -" Mescalero Canyon"
2010 - Tom Browning - "Brush Poppers"
2011 - Mikel Donahue - "Long Days "
2012 - Howard Post - "Rendezvous in the last alley "
2013 - Duke Beardsley - "Socios"
2014 - Billy Schenck - "Eye of the Beholder"
2015 - Ed Mell - "Sunset Cattle Drive"
2016 -Glenn Deanl - "The Cowpuncher"
2017 - Andrew Peter - "Ten Below Zero"
2018 - Poteet Victory - "Sunshine Equine"
This unique 2009 Calendar features artwork from various artists who created posters for the Durango Cowboy Gathering. 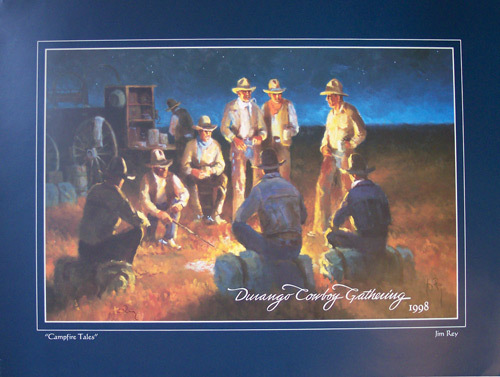 Included in it are the very first 1989 "MJB Cowboy Camp" poster and several Jim Rey and Tim Cox posters which are no longer available. 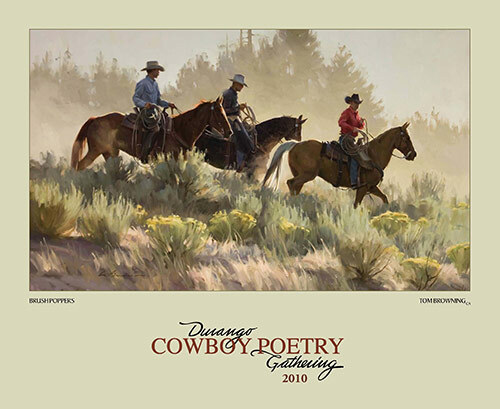 This collectible Calendar will be a keepsake for any fan of western art and cowboy poetry. 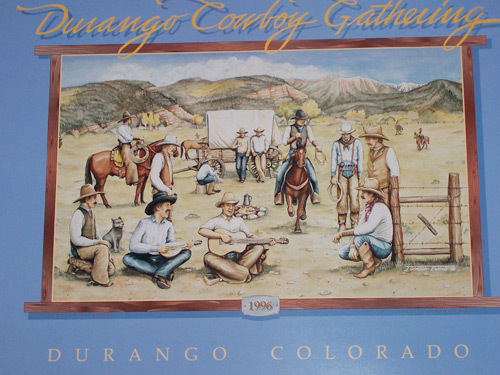 Special reproduction of the original 1989 Durango Cowboy Gathering poster titled "MJB Cowboy Camp". Limited edition of only 100 prints, hand numbered and signed by the photographer James B. Wood. $50 per print. Only 47 remaining. Shipping available.